Affirmations are powerful statements used to direct our thoughts to a certain truth that we want to become our reality. 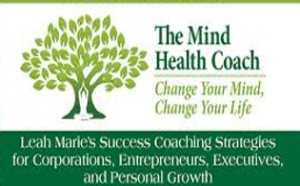 They help us overcome the negative thoughts that hinder us from becoming who or what we want to be. 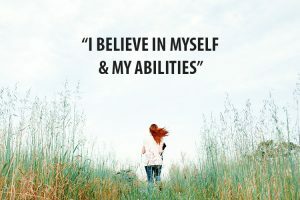 Affirmations help us pave our way to success by helping us to be in control of our thoughts, and eventually our lives. We all have different situations and challenges in life that we wish to conquer, and there are different affirmations we can use for each. 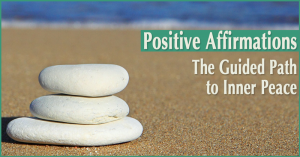 What are some of the affirmations we can use to promote positivity in common life challenges? Who measures success and who decides which age it should be achieved? Some of us may have already turned 30, 40, 50 or 60 but still don’t feel successful in any aspect of life. Make an affirmation that your life is just beginning, and it starts today. Reaffirm your once positive truth, and make a list of the things you need to do to make it a reality. It is never too late to live a happy life. The key to positivity is to be grateful for all the things you have and for all the people you’re with. Some of us may be suffering from certain medical conditions that make us depressed and lose hope of living life to the fullest. We may think every effort is useless because of our sickness, but we need to focus on the silver lining and tell ourselves that everything will be better. Staying positive, getting up and continuing to move forward is the key to being successful. We have to be able to understand each situation and use them to our advantage. Everything that happens makes us stronger, and everything we learn along the way gives us the wisdom to live a life full of positivity. When you feel discouragement from people or things happening around you, set your mind that you are greater than any challenges and everything will happen just how you think it would. You are what you think you are, so telling yourself you are stronger could actually make you stronger because your body will believe what your mind tells it. This self-affirmation is for people who belittle themselves thinking they’re not beautiful physically. “Beauty is in the eye of the beholder,” but more than that, beauty radiates from within. If you believe that you are beautiful, the positive energy will come from that, and there’s nothing more beautiful than the beauty that comes from faith in oneself. Affirmations may not work for everyone. It might be useful at first, but there will be certain situations that are too difficult, and using an affirmation may be too childish for some of us. Affirmations require a lot of understanding and patience which both are scarce sometimes. If we master the method of affirmation, we will be living a life of positivity, and there’s no stopping a person with that kind of perception. Just remember that you are who and what you think and say you are, so you have the power to build yourself up for success and greatness.